Those familiar with Lucy Wainwright Roche are aware of her bell tone voice, her unshakable melodies, and her knack for wise, wry lyrics that clench the heart. It’s no surprise that Wainwright Roche is the daughter of Suzzy Roche (The Roches) and Loudon Wainwright III, half sibling to Rufus and Martha Wainwright. She grew up steeped in music. But Lucy has carved out her own career as a touring singer-songwriter and recording artist, having sold over 50 thousand copies of her four critically acclaimed solo recordings released on her own label: Eight Songs, Eight More, Lucy, and There’s a Last Time for Everything. Other recordings include a collaboration with her sister Martha Wainwright on Songs In the Dark, a collection of lullabies, and two duet recordings with her mother Suzzy Roche: Fairytale and Myth (winner of Vox Pop Independent Music Awards) and most recently Mud and Apples. 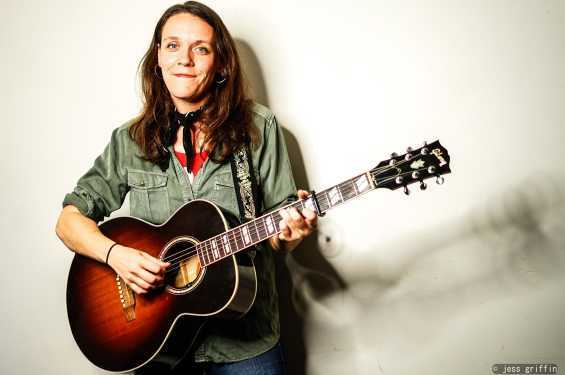 For over a decade, as a solo act, armed with a guitar, a deadpan sense of humor, killer songs, and a voice that makes tough guys cry, she’s built a solid following across the US and Europe. As an opening act she has often appeared with such luminaries as The Indigo Girls, Mary Chapin Carpenter, and Neko Case, and she’s one of a few who can step out alone in front of a thousand strangers and play an entire set to a rapt audience.